We’ve planted our first crop of the season at the Station! 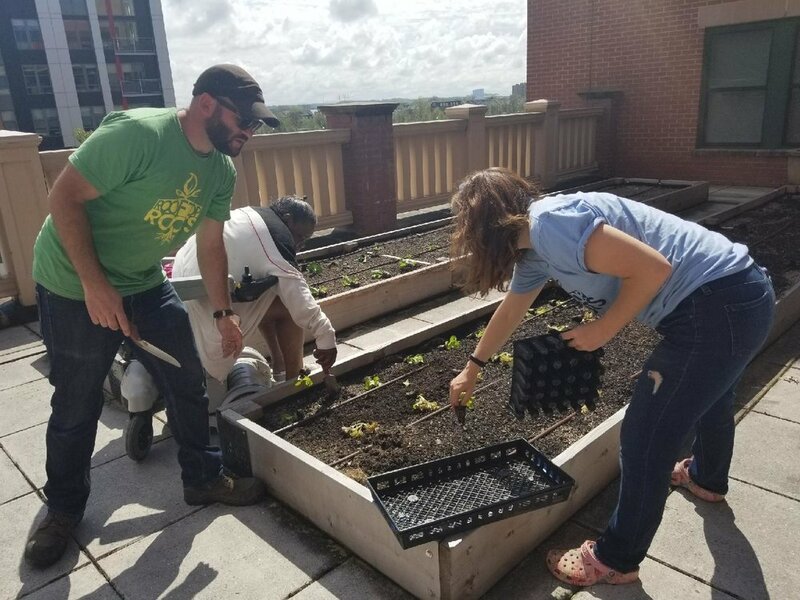 This first harvest, happening in May, will bring kale, lettuce, strawberries, onions, cucumbers, and fresh herbs to AHDC residents across all four properties. We are so excited to get the planting process underway again this year, and to see how much we can grow for our communities. Thanks to the team at Rooftop Roots for all they do in this garden space, and to all who’ve donated to our Spring2ACTion campaigns that help make this project a success from year to year!